Proteins have been found to play a variety of critical roles in living cells. To better understand how individual proteins function, it is important to be able to elucidate the dynamic interactions occurring within a cellular context. A recently developed reagent platform, similar in configuration and approach to bioluminescence resonance energy transfer (BRET), provides a new tool for investigation of protein:protein interactions (PPI). 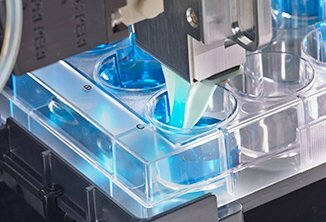 The system is a proximity-based assay that relies on the measure of energy transfer from a bioluminescent donor protein to a fluorescently tagged acceptor protein. 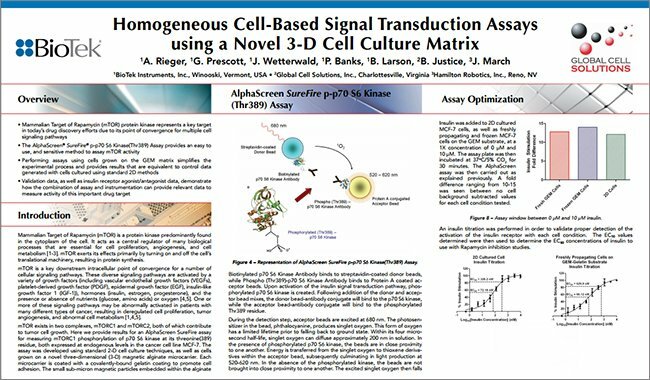 The assay system was used to investigate the PPI of MDM2 and p53 in a cell-based, high throughput screening assay format. 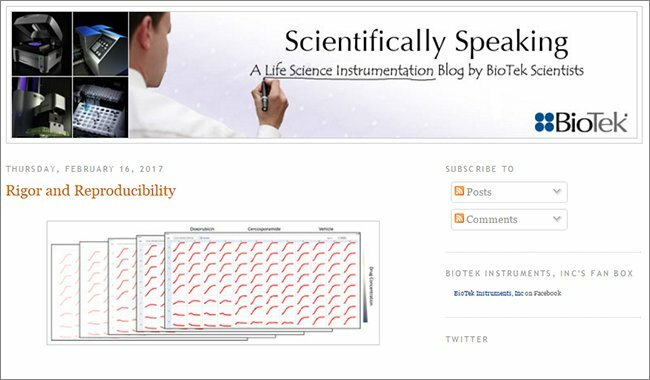 While several methods exist to investigate protein:protein interactions (PPI) in living cells, monitoring those interactions remains difficult. 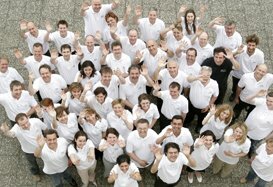 Current methods include those that are primarily based on biochemical methods such as coimmunoprecipitation, bimolecular fluorescence complementation, yeast two-hybrid, phage display, chemical cross-linking and proximity ligation assays while physical methods include bio-layer interferometry, dynamic light scattering, surface plasmon resonance, fluorescence polarization/anisotropy and fluorescent energy transfer (FRET). The various methods differ in respect to sensitivity and specificity in any given system typically requiring multiple approaches for reliable confirmation. While the use of fluorescent labels plays an important role in many of the methods employed for investigation of PPIs the need for an external illumination source can result in both increased background and/or photobleaching of fluorophores. FRET has been widely accepted as an investigative method to determine the proximity of two labeled molecules of interest. FRET requires the close proximity of donor and acceptor fluorophores for efficient energy transfer from donor to acceptor following excitation from an external light source. A similar methodology, bioluminescent resonance energy transfer (BRET), has gained in popularity by harnessing the bioluminescence energy of luciferase as the excitation source minimizing noise from both background and photobleaching associated with the use of an external light source. 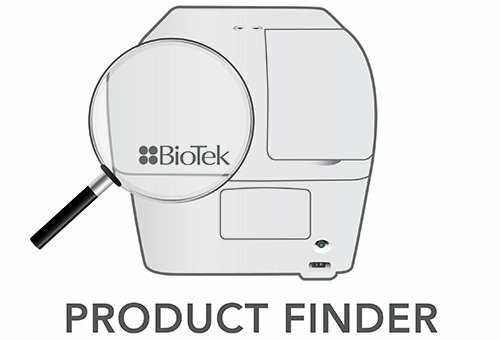 In a manner similar to BRET, NanoBRET™ utilizes a NanoLuc® fusion protein as an energy donor and a fluorescently labeled HaloTag® fusion protein as the acceptor (Figure 1). NanoLuc (Nluc) is an engineered luciferase variant derived from the deep sea shrimp, Oplophorus, and associated substrate, with many of the desirable characteristics mentioned above1. The engineered luciferase is a stabilized variant of the smaller catalytic subunit (Oluc-19) from the heteromeric native structure. Nluc, when coupled with substrate, the coelenterazine analogue furimazine, produces a much brighter light than either Fluc or Rluc with a spectral maximum at 454 nm (Figure 2). 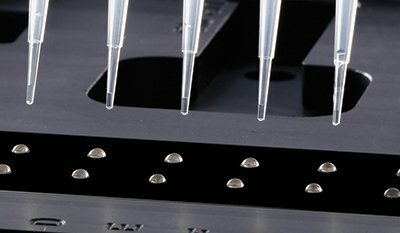 The optimized blue-shifted donor and red-shifted acceptor pair helps to minimize both assay background due to the biological nature of the sample and from spectral overlap making it amenable to high throughput screening applications. 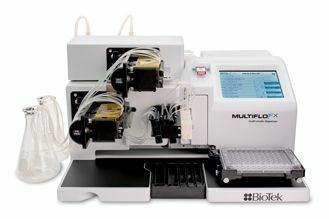 Preliminary data includes analysis of a donor-acceptor fusion protein for assay and instrumentation optimization as well as investigation of the donor-MDM2 and acceptor-p53 fusion pair in a cell-based system. 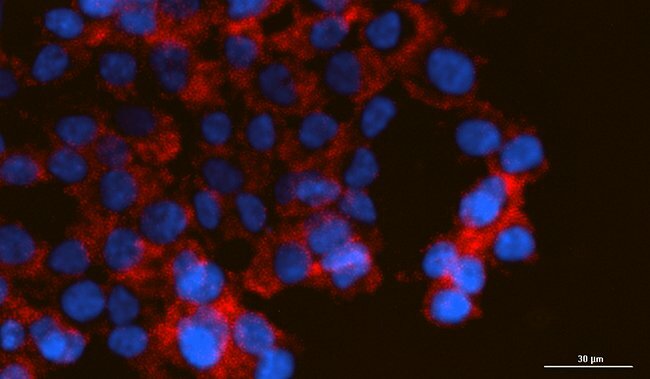 The MDM2 and p53 fusion protein pair was transiently transformed into HEK293 cells for analysis including Z’-factor and pharmacological studies. Figure 1. 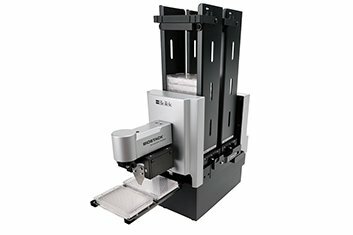 The NanoBRET™ assay. Diagram of energy transfer from NanoLuc®-Protein A fusion (donor) to a fluorescently labeled HaloTag®-Protein B fusion (acceptor) upon interaction. Figure 2. NanoBRET® Spectra. Spectra of NanoLuc® emission at 460 nm and fluorescent emission at 618 nm of HaloTag® NanoBRET® ligand. NanoBRET® ratio calculation based on donor/acceptor emission. NanoBRET™ Protein:Protein Interaction (PPI) System consisting of the NanoLuc®-MDM2 and p-53-Halo- Tag® Fusion Vectors and NanoBRET™ Positive Control consisting of a donor-acceptor fusion protein vector (P/N:N1641 and N1581, Promega Corp., Madison, WI) were used to transform chemically competent E. coli strain BL21DE3 using standard methods. 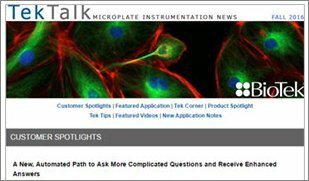 Positive transformants were selected and propagated for preparation of plasmid stocks for transfection of HEK293 cells. 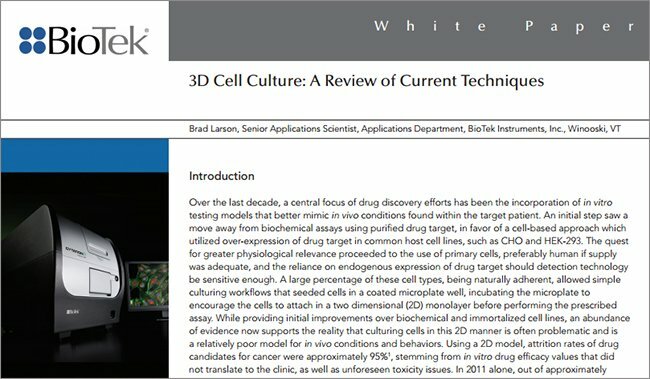 HEK293 cells were cultured using standard tissue culture methods. 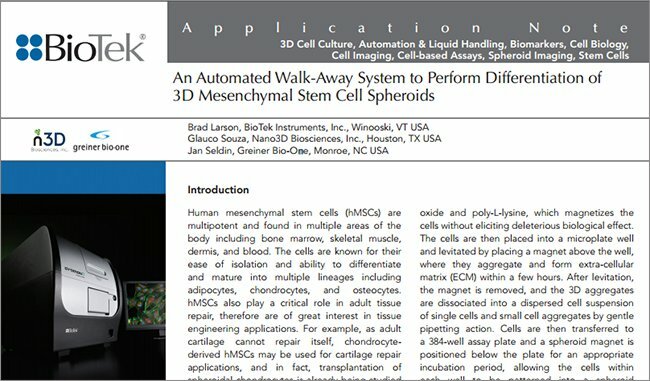 HEK293 cells were harvested at 80-90% confluency and replated into 6-well microplates (P/N:3516, Corning Life Sciences, Tewksbury, MA) at a density of 800,000 cells/well in 2 mL medium and allowed to attach and recover for 4-6 hours. 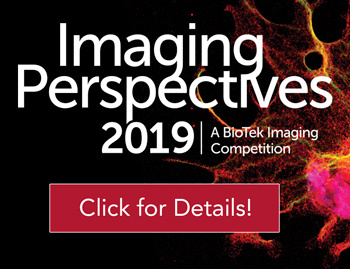 HEK293 cells were transiently transfected with either the NanoBRET™ Protein:Protein Interaction (PPI) System consisting of the NanoLuc®-MDM2 and p-53-HaloTag® Fusion Vectors or NanoBRET™ Positive Control consisting of a donoracceptor fusion protein vector (P/N:N1641 and N1581, Promega Corp., Madison, WI). 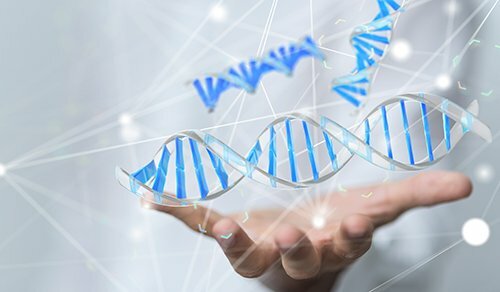 Transfections were performed according to the manufacturers recommendations: PPI Control Pair: 2 μg of p-53-HaloTag® Fusion Vector DNA + 0.2 μg NanoLuc®-MDM2 Fusion Vector + 100 μL Opti-MEM® 1 Reduced Serum Medium, no phenol red (P/N: 11058-021,Thermo Fisher Scientific, Waltham, MA)/4% FBS + 8 μL FuGENE® HD Transfection Reagent (P/N: E2311, Promega Corp.). 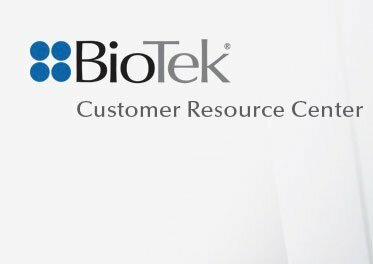 Positive Control: 2 μg of Transfection Carrier DNA + 0.002 μg NanoBRET™ Positive Control Vector diluted in water + 100 μL Opti-MEM® 1 Reduced Serum Medium, no phenol red/4% FBS + 8 μL FuGENE® HD Transfection Reagent. Proteins were allowed to express for ~ 20 hours at 37 ºC, 5% CO2. 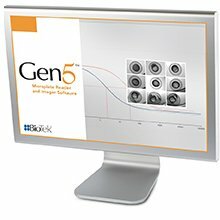 Cells were harvested and replated into either 96- or 384-well microplates (P/N:3917 and 3570, Corning Life Sciences) either with or without HaloTag® NanoBRET™ 618 Ligand. Cells were dispensed in either 100 or 40 μL volumes in 96- or 384-well plates, respectively at a density of 200,000 cells/mL for untreated and 90 or 36 μL at 220,000 cells/mL for treated wells. Treated wells received 10 or 4 μL compound/inhibitor for 96- or 384-well plates, respectively. Plates were incubated at 37 ºC, 5% CO2, for a minimum of 4-6 hours to overnight (18-24 hours). 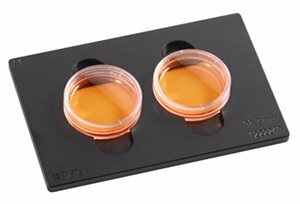 NanoBRET™ Nano-Glo® Substrate in Opti-MEM® I medium was added in a volume of 25 or 10 μL for 96- or 384-well plates, respectively. Donor emission (460 nm) and acceptor emission (618 nm) was measured within 10 min. of substrate addition on a Synergy™ Neo2. Figure 3. 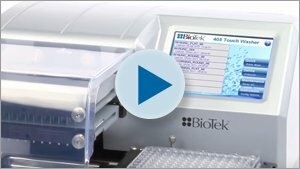 NanoBRET™ Assay Workflow. 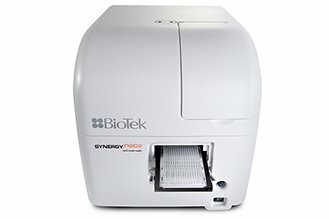 The Synergy™ Neo2 was fitted with emission filters 450/50 and 610/LP in a dual-emission configuration allowing simultaneous detection of both donor and acceptor signal. 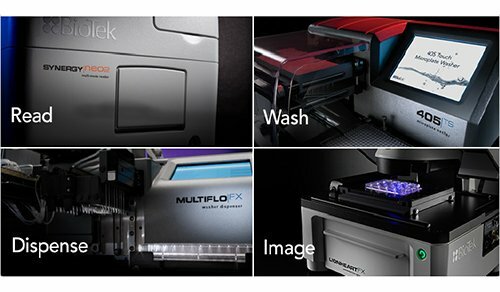 Luminescence read mode, using top optics, was selected. Photomultiplier tube gain settings, signal integration time and read height were optimized as discussed below and tabulated (Table 1). Table 1. 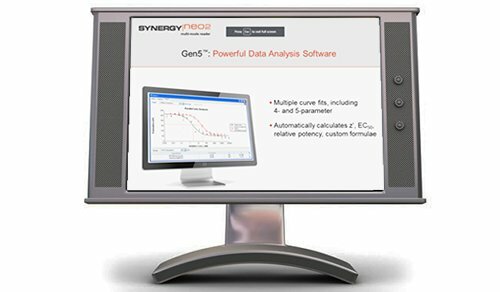 Synergy™ Neo2 Read Parameters. Duplicate or quadruplicate wells were plated in either 96- and 384-well format, respectively, with or without (+/-) ligand and were treated with either the specific inhibitor Nutlin-3 at 10 μM or vehicle alone (DMSO). PMT gain settings were varied for each channel as well as investigation of several integration times to determine optimum assay window and read time (representative data shown in Figure 4). 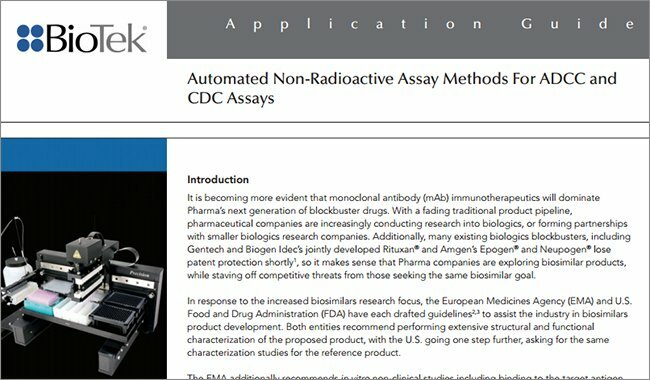 The assay window was calculated as the difference between treated and untreated cells. It is apparent from Figure 4 that an integration time of 0.5 seconds, with gain settings of 135 for both PMTs, provides an excellent compromise between read speed and response. Testing various read heights found optimums at 6 and 8 mm for 96- or 384-well plates, respectively (data not shown). Figure 4. 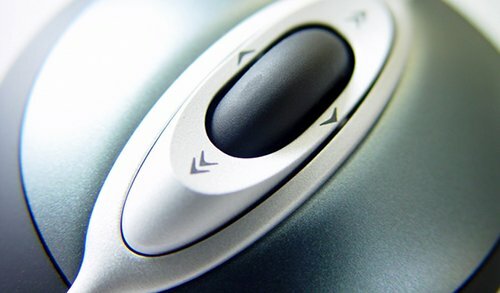 Synergy Neo2 Multi-Mode Reader settings optimization. 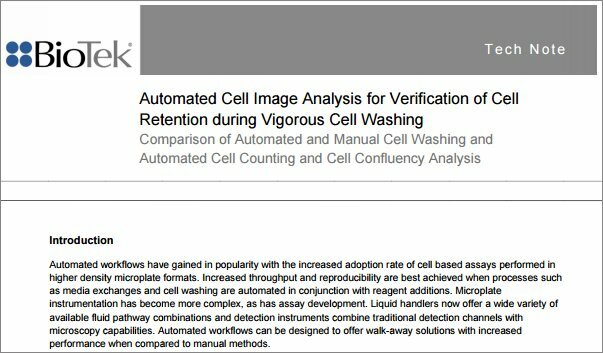 The delta between mBU response from treated and untreated cells at various integration times and gain settings were compared to determine optimal reader settings. 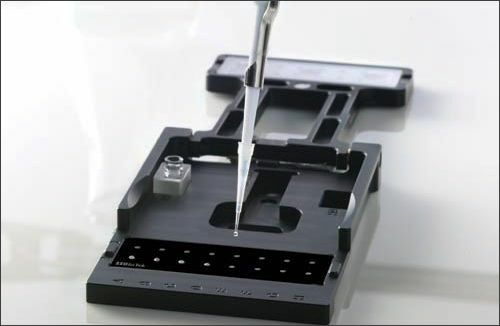 Following transfection, the cells were replated in the following manner: 96-well assay format: 10 replicates +/- ligand were either treated with 10 μM Nutlin-3 or treated with vehicle alone (DMSO); 384-well assay format: 48 replicates +/- ligand were either treated with 10 μM Nutlin-3 or treated with vehicle alone (DMSO). Following the appropriate incubation period the plate was read on the Synergy Neo2 within 10 mins. of substrate addition. The z' factor was calculated for each assay format as previously described. 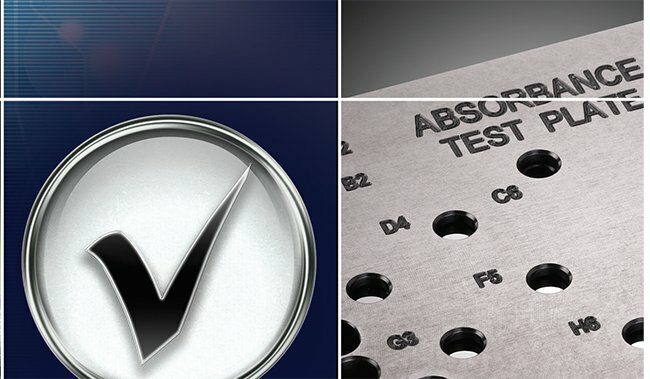 Both assay formats resulted in z' factors between 0.5 - 1 indicative of robust assay performance with low variability. Table 2. Z' factor. The z' factor was calculated for each assay format. 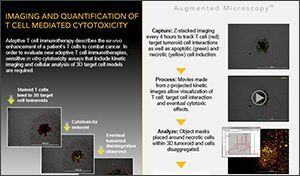 Transfected cells were replated as either duplicates or quadruplicates for treatment with each inhibitor concentration in a 96- or 384-well microplate, respectively. A 9-point, 1:3 serial dilution series of the specific inhibitor Nutlin-3, including a zero compound point, was added. 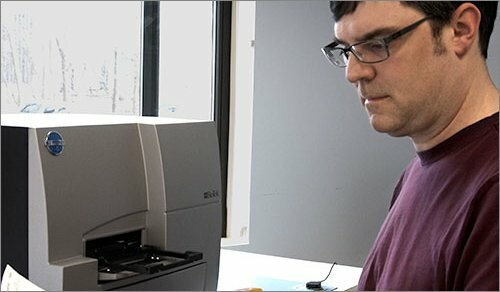 Following the appropriate incubation period the plate was read on the Synergy™ Neo2 within 10 minutes of substrate addition. The IC50 concentration was determined using a four-parameter dose-response curve fit in Prism (GraphPad Software, Inc., La Jolla, CA)(Figure 6). IC50 values of 8.4 and 8.2 μM for 96-well and 384-well assay formats, respectively, correlate well with previously published data (Table 3). Table 3. IC50 Values. 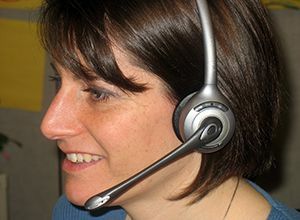 The IC50 values for the inhibitor Nutlin-3 were determined for each assay format. The live-cell Bioluminescence Resonance Energy Transfer (BRET) assay allowed for the investigation of dynamic protein:protein interactions within a biologically relevant environment. The blue-shifted donor signal and redshifted acceptor employed provided excellent signal-tobackground within a complex in vivo environment. 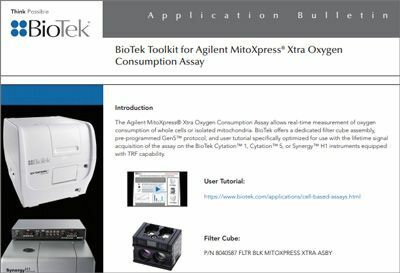 The Synergy™ Neo2 provides rapid detection of multiple signals by simultaneously detecting BRET donor and acceptor emission signals via a dual PMT configuration which is necessary for high-throughput assay formats. Read times were 1min:6sec and 4min:4sec for 96 and 384 wells, respectively. 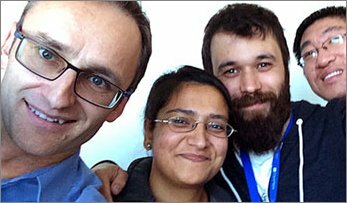 Foltman, Magdalena; Sanchez-Diaz, Alberto (2016): Studying Protein-Protein Interactions in Budding Yeast Using Co-immunoprecipitation. In Methods in molecular biology (Clifton, N.J.) 1369, pp. 239–256. Stoddart, Leigh A.; Johnstone, Elizabeth K. M.; Wheal, Amanda J.; Goulding, Joelle; Robers, Matthew B.; Machleidt, Thomas et al. (2015): Application of BRET to monitor ligand binding to GPCRs. In Nat Meth 12 (7), pp. 661–663. Hall, M.P. et al. (2012) Engineered luciferase reporter from a deep sea shrimp utilizing a novel imidazopyrazinone substrate. ACS Chem. Biol. 7, 1848– 57. Dudgeon, DD., Shinde, SN., Shun, TY., Lazo, JS., Strock, CJ., Giuliano, KA., Taylor, DL., Johnston, PA. and Johnston, PA. (2010) Characterization and optimization of a novel proteinprotein interaction biosensor highcontent screening assay to identify disruptors of the interactions between p53 and hDM2. Assay Drug Dev Technol, 8, 437-458.